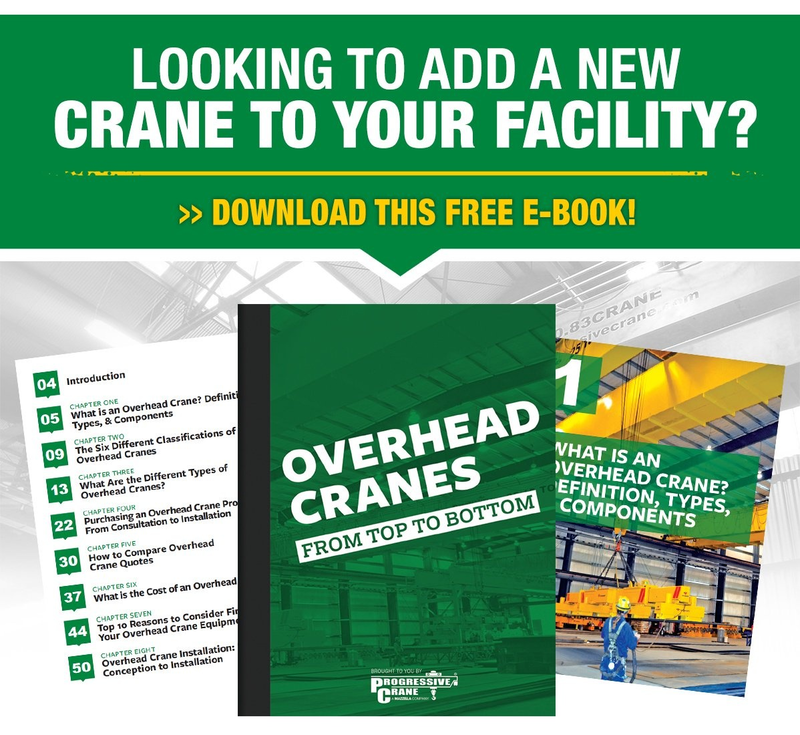 New overhead cranes or older crane systems can be designed or upgraded with modern technologies to help improve the safety, performance, and reliability. At Mazzella Companies, we offer service, upgrades, repairs, and inspections for all types of overhead cranes and hoists. 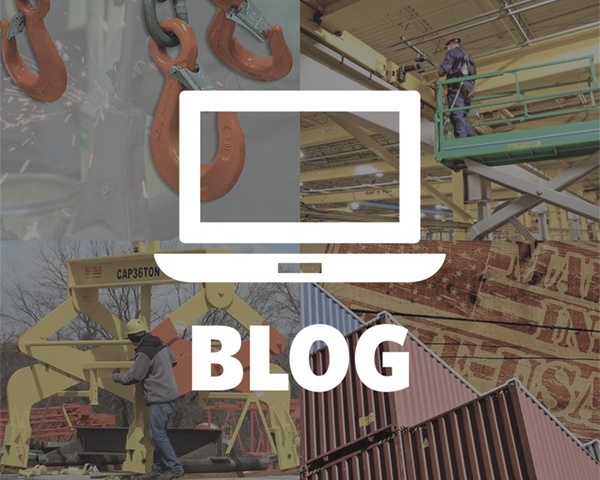 In this article, we’ll walk you through some of the new systems and technologies that are available to help improve the safety, performance, and reliability of your overhead crane equipment. Overhead cranes can be designed with walkways and guard rails to allow maintenance personnel a place to safely walk and tie-off when they inspect or service their equipment. OSHA states that Fall Protection is the #1 most frequently cited violation and they’ve established industry specific requirements (OSHA 1926.501 – Duty to Have Fall Protection) to reduce the risk that comes with working at height. Fortunately, compliance in fall protection is increasing and reaching the board rooms of many corporate executives—in part, because enforcement of mandatory training in fall protection started in May of 2017. If employers are not providing training on fall protection to their employees that are working at height, they can be cited for it. 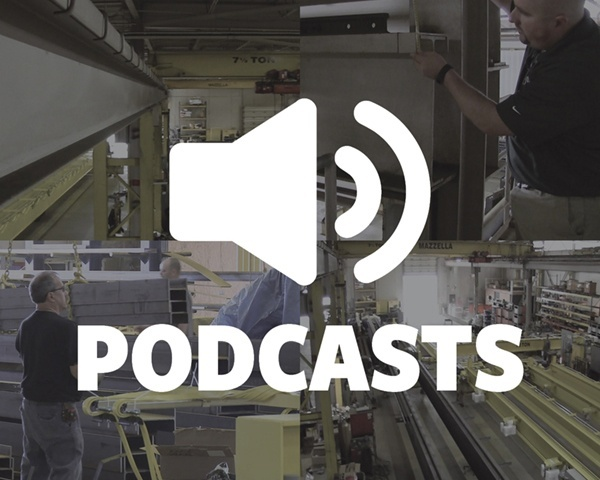 Many business owners are looking to add fall restraints and engineered lifeline systems to existing overhead crane equipment, and are having it included in the specifications for new crane equipment being installed in their facility. 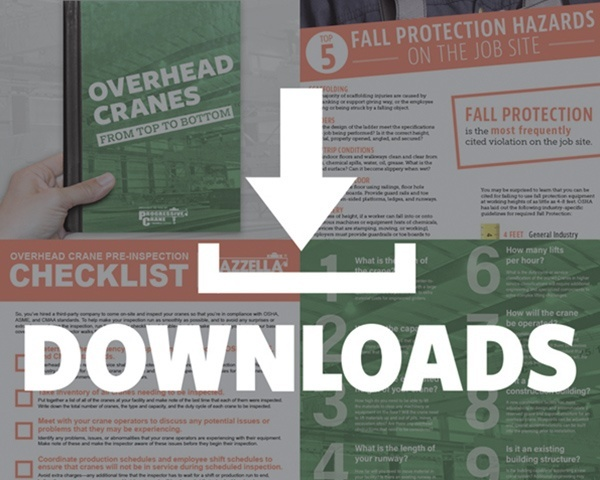 Any operator or maintenance personnel working at heights, or performing service or inspections from a lift, should have some form of fall protection—whether it’s a lifeline system engineered into the design of the crane itself, or lanyards or harnesses available for their employees. Crane walkways can also be designed for higher capacity cranes to provide maintenance personnel with a place to safely tie-off and service or inspect their crane. Walkways can also be designed with kick plates to avoid items falling off the edge onto workers below. In addition to the OSHA requirements, you should familiarize yourself with your state and local codes for audible warning device requirements. Some states like Michigan and California require the use of audible warning devices for any crane in motion—regardless of what control method the crane is using. Indicator lights provide a visual warning to pedestrian and motorized traffic in the immediate vicinity of the crane. They indicate the motion of the crane, as well as the location of the hook and/or load to anyone on the ground. Warning lights and indicator lights can be built into the design of an overhead crane to provide personnel on the ground with an idea of where the crane bridge is overhead and where the hook will be. These lights are automatically on when the crane equipment is turned on and running—helping to reduce accidents and operator error. Operators can also use these lights as a point of reference tool to help them position the hoist and hook to make their picks or position a load. OSHA 29 CFR 1910.179 requires the use of warning lights for any cab-operated overhead crane. Also, by eliminating the abrupt starting and stopping of the crane, you get far less load swing because the crane moves in a controlled manner—making it safer for everyone on the floor. Safe Torque Off – A redundant hardware safety circuit that guarantees motor and brake power are removed when an E-STOP switch or safety controller opens the drive input, eliminating the need for external disconnects. Torque Proving – On some older systems, the motor is pre-torqued to guarantee that the load can be held before opening the brake. Load Check – Continuously checks for hoist overloads and prevents the hoist from lifting when an overload condition is detected. Brake Checks – Monitors the opening and closing of a brake to ensure that it is safe and healthy. Micro-Speed – Allows the operator to make slow, precise movements. Electronic Programmable Limit Switches– Allows slow down and stop limits without physically geared limit switches. Collision avoidance systems should be utilized when multiple cranes are operating on one runway system, or when cranes are operating in areas where there may be other obstacles or obstructions. Another benefit of collision avoidance systems is they can be used to help prevent overloading of a runway system that multiple cranes are operating on. Keeping cranes far enough apart, whether they’re carrying a load or not, will help prevent undue stress and overloading on certain parts of the runway beams and supports. As the crane approaches the end of its safe travel limit, an electrical or mechanical switch will trigger and begin to slow down the hoist motion or travel of the bridge. If the hoist or bridge continue to travel, they will activate a stop switch which will immediately stop the motion altogether before it hits an end stop. Productivity can also be improved with better visibility—helping with faster load positioning and damage control as the operator can better judge load and clearance obstacles from the ground. If you choose to upgrade your crane’s brake system at the same time that you add variable frequency drive controls, you can greatly reduce the wear and tear and maintenance on your brake system. Having a microprocessor control the motor and slow the crane’s motion versus using the brakes to slow down the crane, can prolong the life of the brake system. Diagnostic information like capacity of lifts, system amperage and voltage draw, number of lifts and cycles, and maintenance fault codes can be sent directly to an operator's remote "belly-box" controller. Cranes equipped with variable frequency drives or modern-style radio controls have the ability to provide diagnostics and monitoring of overhead crane equipment either on the equipment itself or to users in a remote location. This diagnostic information also helps maintenance personnel troubleshoot problems with overhead crane equipment, and gives others the ability to remotely access the data and troubleshoot for more complex issues or specialized problems. Another advantage to having a monitoring and diagnostics system is that the crane can alert the operator, safety managers, or other designated personnel if it has been overloaded. An overload occurs when a lift exceeds the crane’s rated capacity. Overloads are prohibited according to OSHA and ASME B30 standards, and can stress and damage the crane equipment—putting nearby employees in danger if the crane were to fail. There are also more basic ways to determine if you’re overloading a crane’s capacity, including installing a load cell sensor that measures the tension force on the hoist’s wire rope. When the load exceeds a pre-determined percentage of the rated capacity (usually 100-125%), the overload device temporarily stops the hoist so that the only further action the crane can perform is to lower the load. Ultimately, safety features like collision avoidance sensors, variable frequency drives, and warning lights are only as good as the operator running the crane. Making sure your crane operators are properly trained is the most important safety factor you can add to your lifting program. 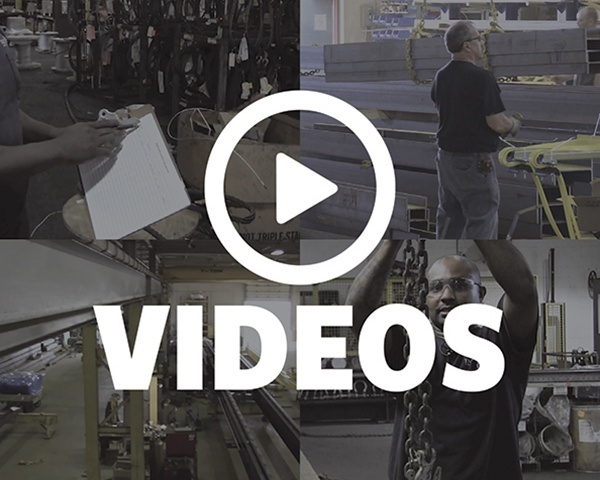 Ultimately, providing training for your overhead crane operators is the most important thing you can do to make your overhead lifting program safer. A 30-year old crane with single or dual speed drives can be operated just as safely as a brand new crane with variable frequency drives and a collision avoidance system. It doesn’t matter how many bells and whistles you add to an overhead crane system if the operators haven’t been trained on how to run it safely. At Mazzella Companies, we offer on-site or classroom training courses for OSHA compliance for slings and rigging equipment, hoists, load control, safe design and use of below-the-hook devices, and safe lifting operations for indoor cranes. If you’re interested in learning more about one of our training programs, or want to schedule an inspection of your crane equipment, contact us and we’ll connect you with the closest crane service provider. Next Article What is Arch Beam and Why is it So Dangerous on an Overhead Crane?